Mobile payments will open up new ways to interact with guests and create the potential for a more open and transparent payment system. Wallets have cropped up as an attractive alternative channel for payment for consumers who have been unwilling to use their debit cards electronically online or offline. Moreover it helped them overcome the trust deficit in putting their card details every time they use it vis a vis a one-click check out kind of an experience through wallets. The world of payment is changing rapidly, not only for retailer but, also for restaurants. And, restaurant owners are extremely excited about the big change in the technology led world. With emerging technology changes in India, eCommerce market in India is set to touch $38 billion mark in 2016 seeing approximately 67 per cent increase over the $23 billion revenues in 2015, shared a study by industry body ASSOCHAM. Online transactions or payments are no more restricted to online purchase or orders that we do but, is capturing the restaurant and cafe business in India. 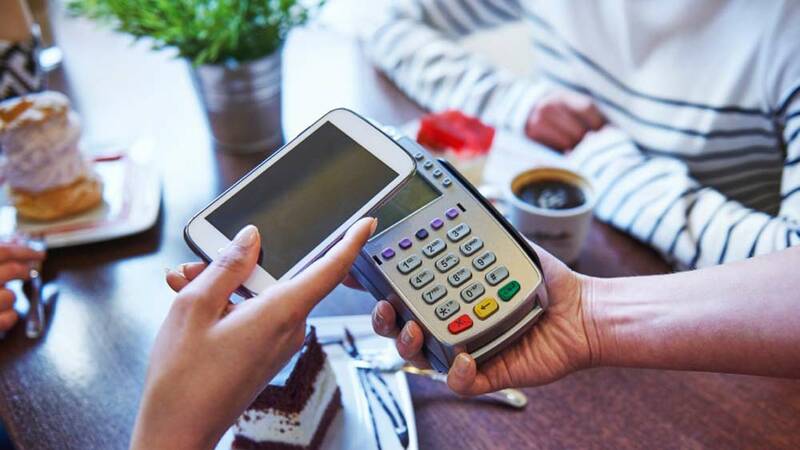 And, restaurants are happy to partner with mobile payments players and aggregators as technology has become a wide point of interest at top restaurants in India. “Technology today plays a vital role in delivering great customer service, and we invest heavily in technology to enhance our guest experience,” shared S. Murugan Narayanaswamy, Senior Vice President Marketing, Domino's Pizza India which has partnered with payment network to ensure that their guests across our 1000+ restaurants have added choice, and experience the highest level of convenience. Not only this, price competition, the increased innovation and productivity that is growing with more competition, will benefit both restaurant owners and their guests. According to restaurant people mobile payments will open up new ways to interact with guests and create the potential for a more open and transparent payment system. "We believe in offering customers a wider choice of payment options as per their convenience. We cater to over two million consumers on a monthly basis and digital payments help address concerns of managing cash thereby streamlining and making the payment process safer for consumers,” pointed Aman Singhal, Assistant General Manager, Haldirams which has partnered with mobile payment platform Freecharge for a fast and reliable payment solution. Going by Modi’s Digital India move, the future lies in cashless transactions and cashless payments. At a time when everybody is relying on mobile payments, these wallets are allowing big cash backs and discounts to customers which are a good sign for the next tech bubble that is going to disrupt India’s technology. “At MobiKwik, we are driven with the vision of a cashless India and our association with these food-retail giants like Dominos is a strong step towards realizing that idea. We aim for 100% growth every month through offline food and retail tie ups,” said Upasana Taku, Co-founder, MobiKwik which has enabled cashless payments across 8000 restaurants in India. Similarly, Free charge which has partnered with restaurants like Haldiram’s, mcDonald’s, barista, CCD amongst others is happy to associate with offline restauarnt players. “This is also a great addition to Freecharge’s acceptance in Food and Beverage sector in India. We have received a phenomenal response to our partnerships with McDonalds and Café Coffee Day which were activated earlier this year. Each partnership is a testimony of an overall thrust to drive digital transactions in offline scenarios as we work towards our vision of a less cash society,” added Govind Rajan, CEO, Freecharge. However there is a catch. Wallet companies offer big cash backs and discounts and even 100 per cent in some cases to customers on every purchase made through their wallet, which seems to be driving the wallets’ adoption. Inheritably Indian but not really Indian..